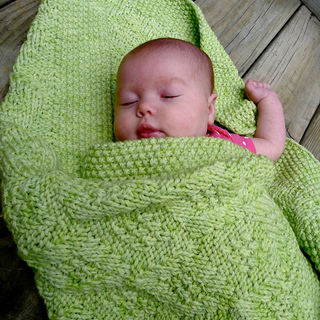 A completely reversible baby blanket in a easy knit-and-purl textured diamond pattern. Yarn is used held double. Pattern is given both as written instructions and as a chart.